Back in 1988 when the Charlotte Hornets franchise was first established not even Alexander Julian could fathom the impact his color scheme would have on Charlotte, the NBA, sports, and pop culture. It truly revolutionized what colors people viewed were appropriate or acceptable for a sports franchises to use. It transcended the basketball court and created a style that became synonymous with an entire generation. Therefore, we thought it was only appropriate to take a look back and choose what we viewed to be the top 10 Charlotte Hornets themed shoes since their inception. 10. 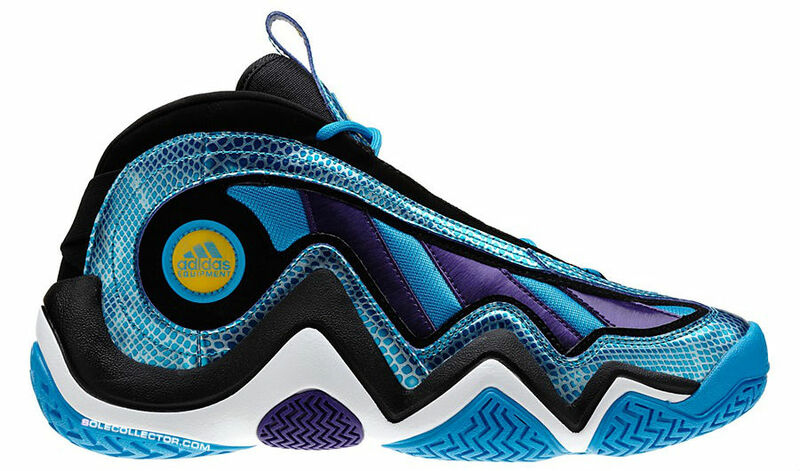 The Adidas EQT Elevation “Draft Day Hornets” In 1996 the Charlotte Hornets drafted Kobe Bryant 13th overall. Prior to Kobe being drafted by the Hornets he had reached two agreements, one was that he would end up a Laker and the other one was a massive shoe deal with Adidas. 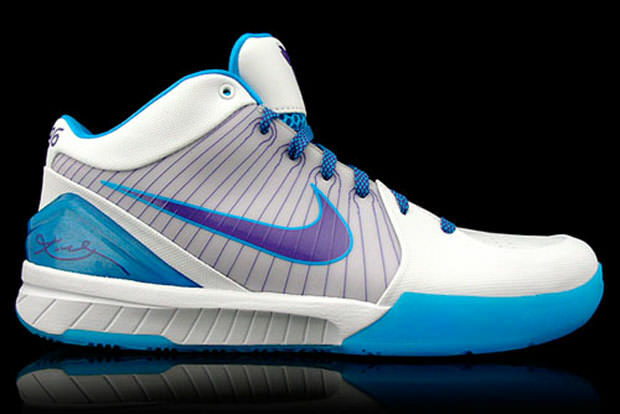 While Kobe’s first shoe ended up being in Lakers’ colors its nice to wonder what it would have looked like in the glorious Hornets’ colors……. had he not told Charlotte he was too big for our small market. 9. 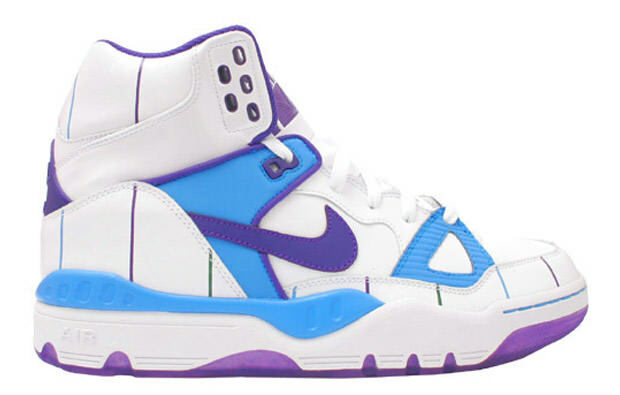 Nike Air Force III “Hornets” While I’m not a fan at all of the design of the Air Force III, it does incorporate the pinstripes from the original Charlotte Hornets jersey,which means it pays enough respect to be in the top 10. 8. Air Jordan 6-17-23 Aqua This sneaker was released by Jordan on March 12,2011 and it throws aspects of both the Jordan 6 and 17 into the same shoe. 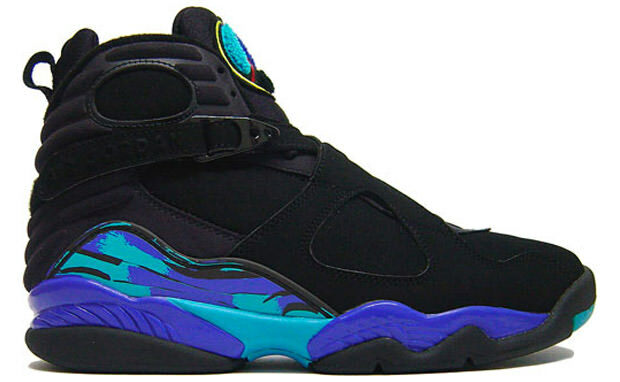 Its a nice nod to the Air Jordan 8 Aquas which we will be appearing later on in this list. While this shoe’s design was released again this year, the Aqua/Charlotte Hornets colorway appears to be a one time thing. 7. 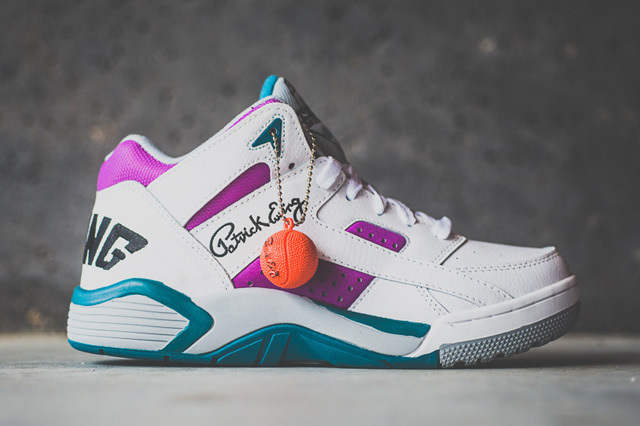 Ewing Athletics Wrap (Charlotte Hornets) While Ewing’s line of shoes is most famous for it’s 33 Hi, the notorious Knick decided to pay homage to the team that currently cuts his checks and the greatest colorway in the history of the NBA. The shoe has a very classic late 80s/early 90s feel to it that matches the era in which the Hornets erupted into the mainstream. 6. 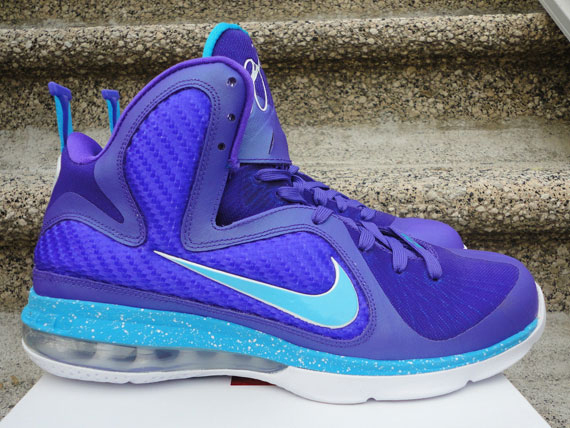 Nike Lebron 9 “Summit Lake Hornets” Lebron played for the Hornets, not the Charlotte Hornets but his Youth League team called the “Summit Lake Hornets”. 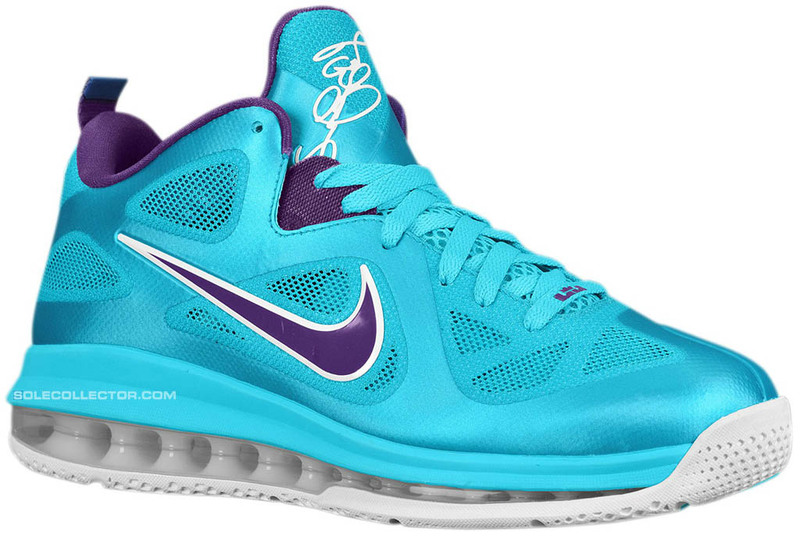 Lebron has decided to capitalize on the popularity of the team’s colors be releasing a series of “Summit Lake Hornets” shoes. However, the 9s hit at a time when the idea of Bringing Back the Buzz was really beginning to hit mainstream and thus shooting the popularity of these shoes through the roof. 5. Nike Zoom Kobe IV “Draft Day” Once again nobody trolls like Kobe, his gift for revising the incidents that occurred leading up to that draft night in 1997 tend to rub Hornets fans the wrong way. Never the less he was technically a Charlotte Hornet on draft night and since we know what his shoes would have looked like with his initial Adidas contract, its only right that we get a version of the Black Mamba’s shoe had he stayed with the Hornets all the way to his Nike days. 4. Air Jordan 8 Aqua This shoe was originally released in 1993 during the Charlotte Hornets prime and it is just a unique shoe with a phenomenal use of the Hornets colors while not being too overpowering. 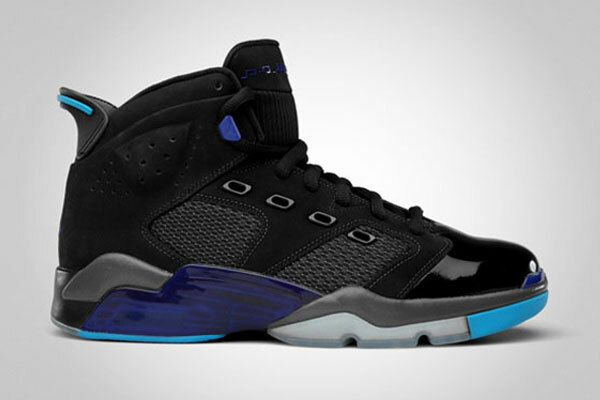 It uses a black base and places the majority of the color towards the bottom of the shoe. 3. 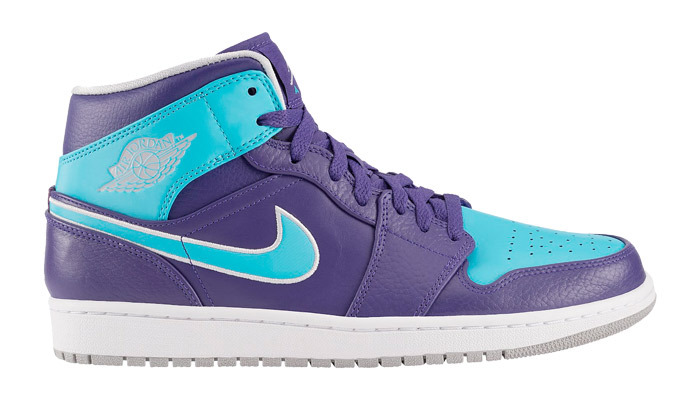 Air Jordan 1 Mid Court Purple/Gamma Blue You are looking at the owner of the Charlotte Hornets very first shoe in the colors of the team in which he currently owns. Now while this shoe may never have the title of “Air Jordan 1 Mid Charlotte Hornets”, it very obvious which team inspired the color choices. 2. 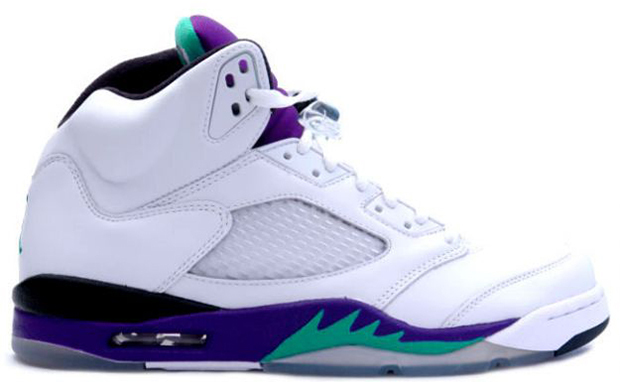 Air Jordan 5 Grape Now….this shoe will forever hold a special place in our hearts and remind us of how Jordan played with Charlotte’s emotions. It lead to so much speculation and forced us into attempting to crack the Jordan Code on whether or not our NBA team in Charlotte would once again adorn the title of Charlotte Hornets ( https://bringbackthebuzz.wordpress.com/2013/04/09/cracking-the-jordan-code-the-last-clues-are-falling-into-place/ ). 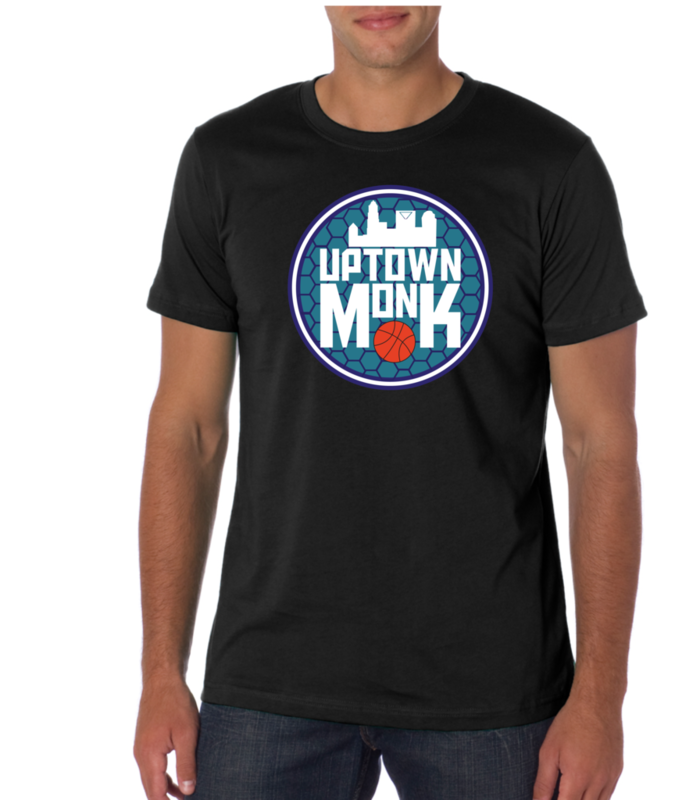 It was re-released in April of 2013 with an entire line of teal and purple clothes/shoes to accompany it…..just a month before the franchise announced they were changing back the Hornets (coincidence, I think not). 1. 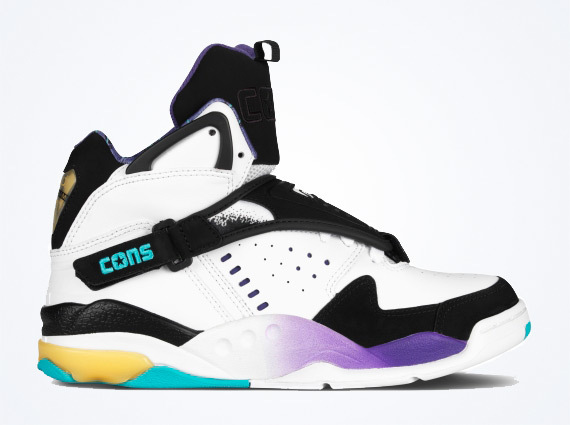 Converse Aero Jam OG This is it, these are the ones, when you see these you have no choice but to think CHARLOTTE HORNETS!! Larry Johnson strapped these on, turned into Grandmama, and then helped turned Hornets hysteria into a reality. Until the next generation of Charlotte Hornets players helps catapult the brand back to where it once was with their own shoes….these will forever be it!